Beverly (“Bev”) JoAnn Gravelle, 81, of Grand Forks, ND died Friday, Aug. 17, 2018 at Valley Eldercare in Grand Forks. Beverly JoAnn Sannes was born August 9, 1937 in Grand Forks, the daughter of Theodore (“Ted”) and Agnes (“Tilly”) Sannes. She grew up and attended Roosevelt and Immanuel Lutheran School in Grand Forks, completing the 8th grade. At the age of 45, she proudly completed and received her GED from the University of North Dakota. She then went on to complete her first college course in English. Bev married Ronald Miller, and they had one son, Patrick. Bev was married to Ronald Gravelle, and they had one daughter, Debbie. Bev devoted her love, time and attention to her family, children and grandchildren. Bev spent 23 years, until her retirement, working for the University of North Dakota. Bev is survived by her son, Patrick Miller, Reynolds, ND; Debbie (Mike) Thompson, Grand Forks, ND; Her two grandchildren, Tyler (Mackenzie) Thompson and Hailey Thompson; Her two sisters, Marci (Norris) Loiland of Grand Forks, ND and Gloria (Henry) Marynik of Bemidji, MN; Her brother, William (“Bill”) Sannes, Grand Forks, ND; Along with nieces, nephews and cousins. 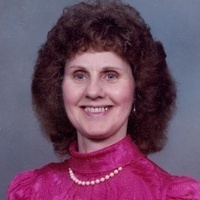 She was preceded in death by her parents; Her brothers, Terrance (“Terry”) and Thomas (“Tom”) Sannes; a sister, Wanda Sannes, a Sister-in-Law, Grace Sannes; Niece, Lori (Marynik) Carlson and her grandparents.